Banstead Village - The Great Fire of Banstead 12th December 2008. 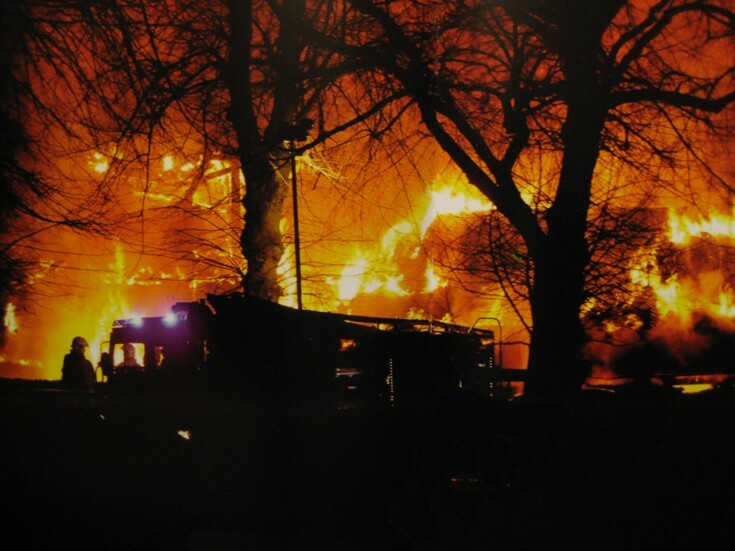 The Great Fire of Banstead 12th December 2008. The Great Fire of Banstead 12th December 2008 is the title of the souvenir booklet published by Mark Davison and Keith Walter following the blaze in Banstead High Street when the Waitrose supermarket was devastated by fire. The photograph is taken from the publication.